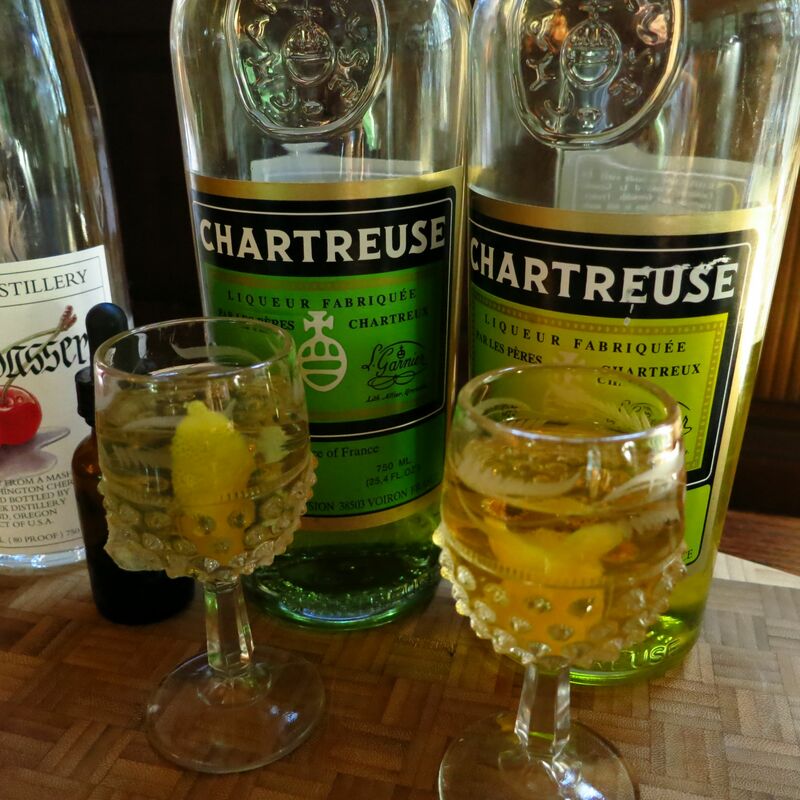 Chartreuse is a French herbal liqueur that comes in both a green and a yellow formulation. You can find both varieties in many cocktails, where they add interest from their herbal flavors as well as sweetness. This week, we check out the difference between the two kinds, and see how they work in cocktails. 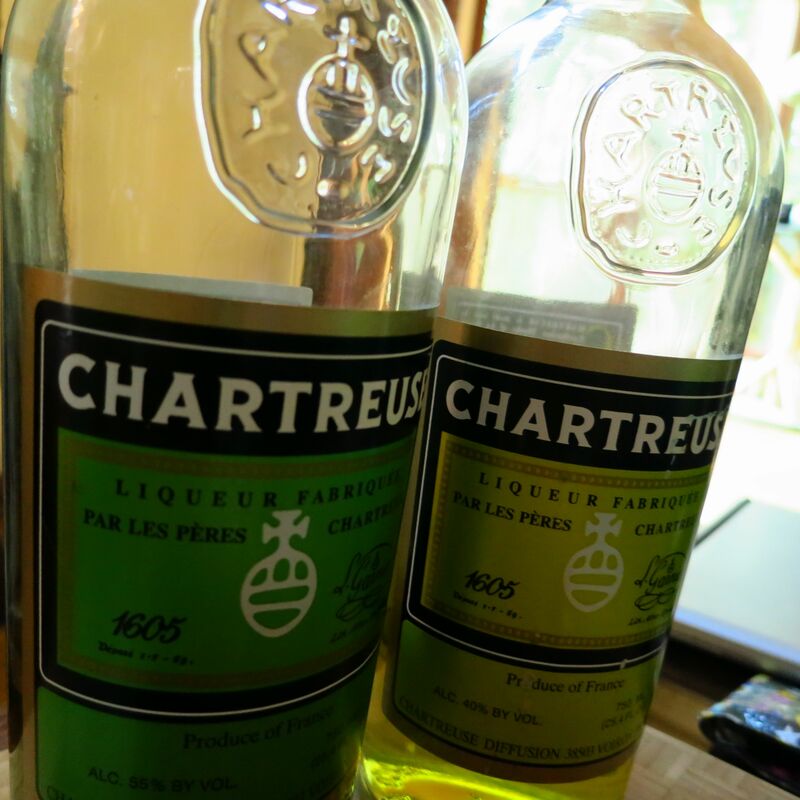 We decided to start off by seeing how yellow and green Chartreuse compared flavor-wise. Nose: Honey, hazel flowers, wet grass, bracken. Slight dusty and bitter notes. Palate: Honey, black pepper, anise, and mint to start, followed by hazel flower. Lightly bitter lemon on the mid-palate turns to lemon peel at the end of the mid-palate. Long spicy finish. Very sweet. Heavy and palate coating. In direct comparison to the green, dusty mineral notes on the mid-palate become more obvious. Nose: Slightly bitter crushed leaf smell, then a little bit of thyme and mint. Faint boxwood and sassafras. More bitter than the yellow. Palate: Bitter green leafy notes along with a spiciness almost like nasturtiums to start. Thyme and sassafras on the mid-palate. Gingery, spicy, bitter finish. Not as sweet or as palate-coating as the yellow. More bitter. Ou next step was to try the two kinds of Chartreuse in a classic cocktail. The Last Word came to mind. It calls for green Chartreuse, but we were curious to see how yellow would do as well. Nose: Lime peel and lime sherbet. Little bit of savory thyme and sassafras. Very faint cherry. Palate: Really sharp, perfume-y lime on the front. Creamy but bitter lemon along with thyme on the mid-palate. Big hit of sweet on the end of the mid-palate followed by a bite of acid from the lime. Sassafras and very clear almond & cherry on the finish and into the aftertaste. Markedly more bitter compared to the yellow. In direct comparison, mint surfaces in the mid-palate, and lime pops a lot more. Nose: Really strong honey and dusty, musky notes. Faint lime. A little bit of a nutty smell almost like sesame. Palate: Creamy lemon, lime, honey and cherry on the front. Coriander and mineral-y dryness on the mid-palate with some acid and sweetness. Similar finishes. Slightly bitter on the finish and into the aftertaste, but much less so compared to the green version. Sweeter, less bitter, and less acidic than the green. In direct comparison, the honey flavor stands out way more. 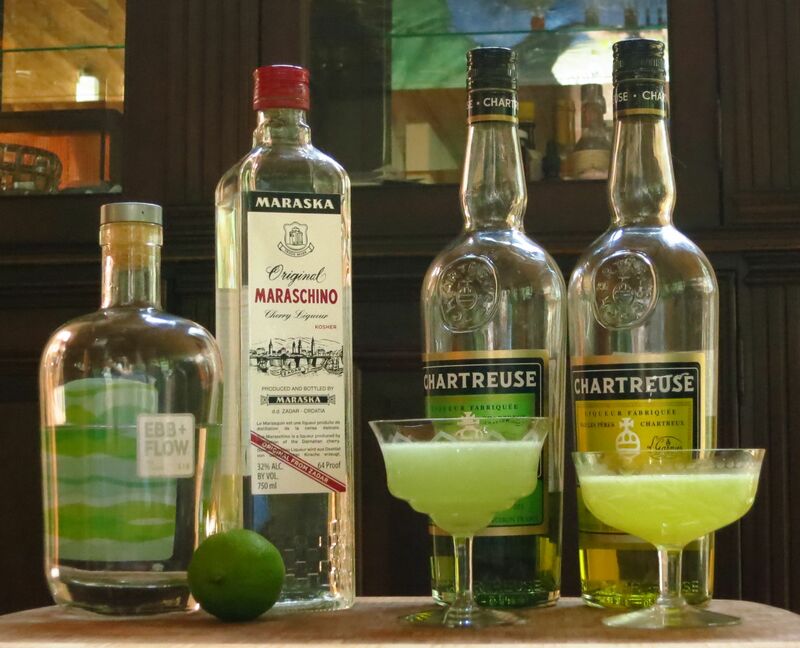 Next, we wanted to come up with an original cocktail that made good use of Chartreuse. Both versions are delicious, but we preferred the yellow slightly, as the honey flavor made it better integrated. Stir with ice. Strain in a glass. Garnish with a lemon twist. Nose: Lemon peel, cherries, honey, and lemon hard candy. Slightly mineral dusty smell. Palate: Honey and lemon to start and then sweet cherry. More cooked cherry than fresh cherry. Little bit of sesame nuttiness. Floral notes and grilled lemon on the finish. Surprisingly spicy finish given that there isn’t that much Chartreuse in there. Nose: Crushed green smell. 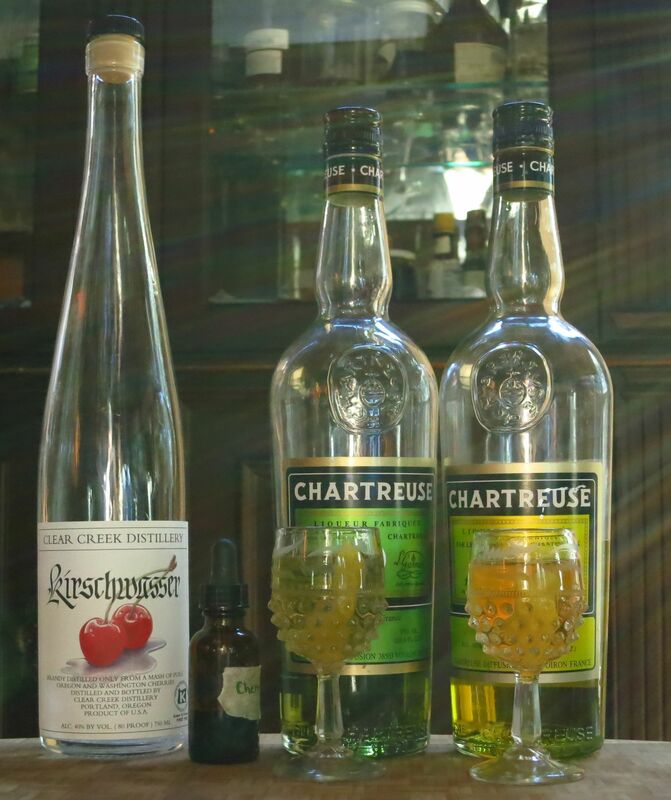 Little bit of cherry, more of a cherry-almond scent compared to the yellow chartreuse. Little bit of sassafras. Kind of a tingly smell like ozone.Not nearly as much lemon as the yellow. Palate: Herbaceous, slightly bitter start. Sweet lemon, plus a little bit of cherry and bitter almond on the mid-palate. Sassafras and cooked lemon on the finish. Spicy finish isn’t as strong. Little more muted, a little bit more one note compared to the yellow chartreuse. Drier also. 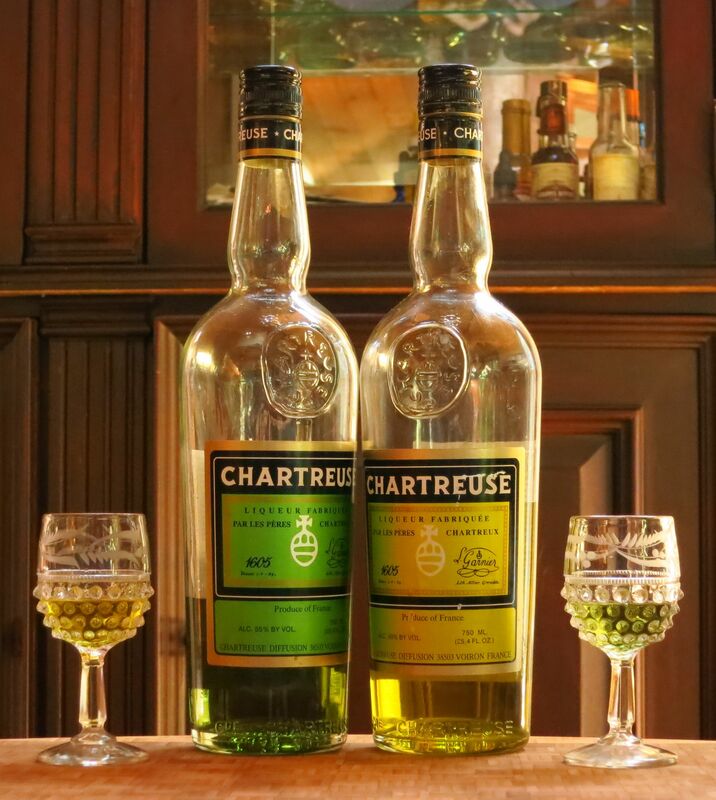 If you don’t already, it is well-worth having a bottle of one or both kinds of Chartreuse in your bar. If you aren’t certain it’s for you, go to a reputable bar and try some (Canon has it on tap :)). This entry was posted in cherry bitters, gin, green chartreuse, kirschwasser, maraschino, yellow chartreuse and tagged clear creek kirshwasser, martini alternatives, sound spirits ebb + flow gin. Bookmark the permalink.